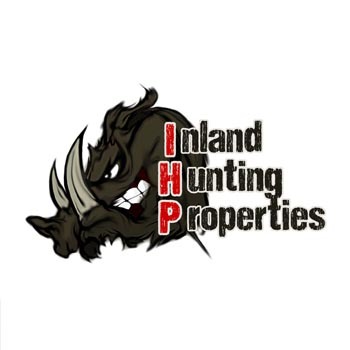 Situated between Stanthorpe and Texas in South East Queensland, our property is located just 300km or a 3 hour drive from Brisbane, making it the ideal weekend get-away for hunting enthusiasts. Hunters will have the opportunity to book on either one of our two neighbouring properties with differing accommodation types available. 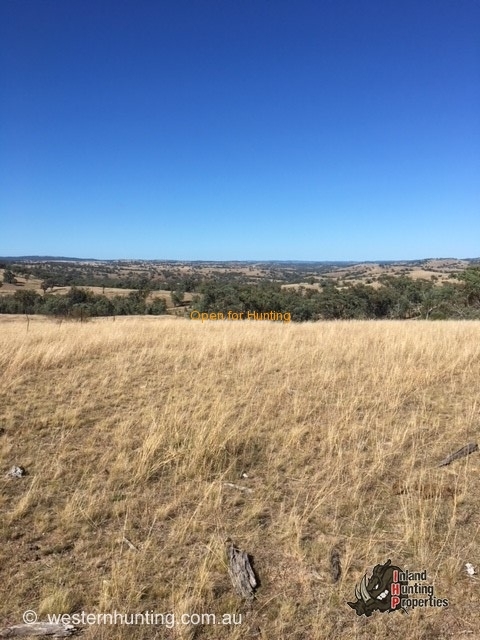 Each property stretches over 4000 acres, and is a combination of heavily timbered, rocky high country, as well as lightly timbered, undulating paddocks of cleared, grazing country. 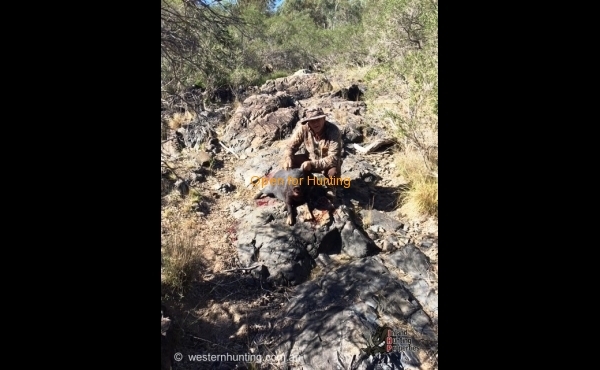 Hunters can test their skills chasing pigs, rabbits, foxes and feral cats, as well as trap yabbies or fish for yellow belly and eel tailed catfish and murray cod (in season) in one of the several creeks or waterholes that run through the property (catch and release). A four wheel drive is required to get to most places. The property is an operational farm and has been in the family for over 28 years. 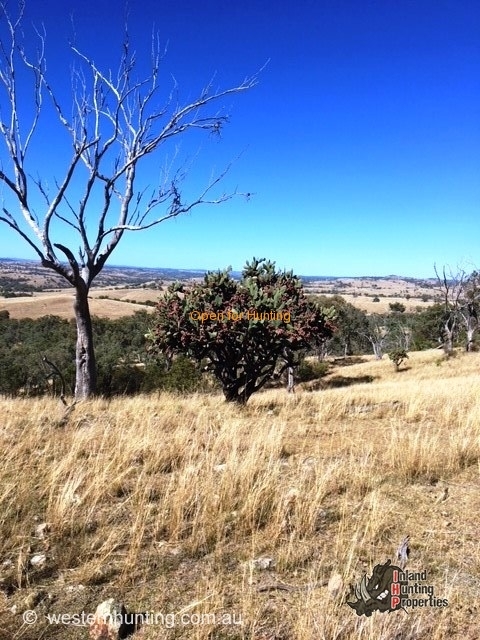 Our love for the land initially began with sheep grazing, however we now also run cattle as well as grow peaches, plums and nectarines in our 30,000 tree orchard. The closest supplies are in the township of Stanthorpe where you can buy alcohol, food, ice and all other basic needs. Ammunition is also available in Stanthorpe from John Vichie Firearms which is open 8.30 – 5.00pm (weekdays) and 8.30 – 12.00pm on Saturday (closed on Sunday), however it is suggested to bring enough ammunition for your time here. Non-powered camping is available at our property, situated near the creek/ fishing hole we know as ‘Wallaby Rocks’. The area is isolated, flat and well shaded. Camping at our property is available year-round. Stanthorpe is known to be Queensland’s coldest town, however our property experiences warmer conditions on average. Winter offers crisp sunny days and cold nights with mild to moderate frost. Summer days are warm and beautiful, with little to no humidity. Perfect sunny skies are often followed by crisp, clear nights - perfect for hunting. Like all high country regions, our weather can be changeable and unpredictable, sometimes offering four seasons in one day. We advise you bring a jacket year round and an extra jumper in Winter! Wives and children can choose to relax at the camping grounds and read a book, wander at their leisure through the bush or photograph the abundant wildlife and natural scenery. Glenlyon Dam and Sundown National Park are also just a 45 minute drive from the property and offer great swimming, fishing, boating, canoeing and bushwalking. 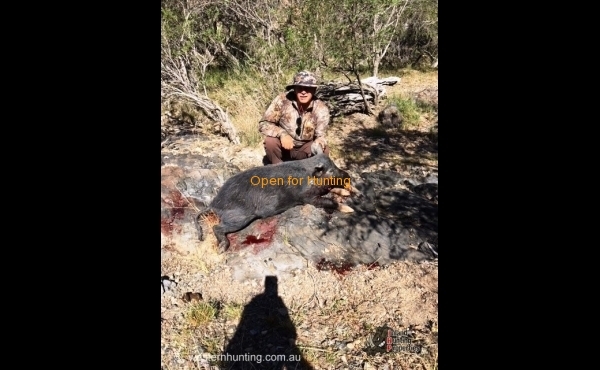 Ensure you hunt well away from people, livestock, buildings and crops. We do not tolerate the shooting of signs, yards and other infrastructure. Gates are to be left as they are found. This is extremely important as livestock are run across the property. Electric fences may be active on the property perimeters. Hunters must respect the natural environment and leave the property as they found it, taking all rubbish with them. Quality habitat is the key to a healthy population of game and other wildlife. 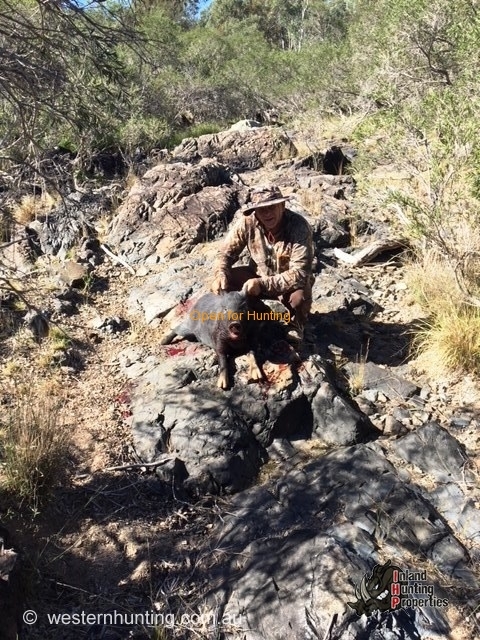 It is important for all hunters to understand the concept and principles of ethical hunting, and practice them when in the field. 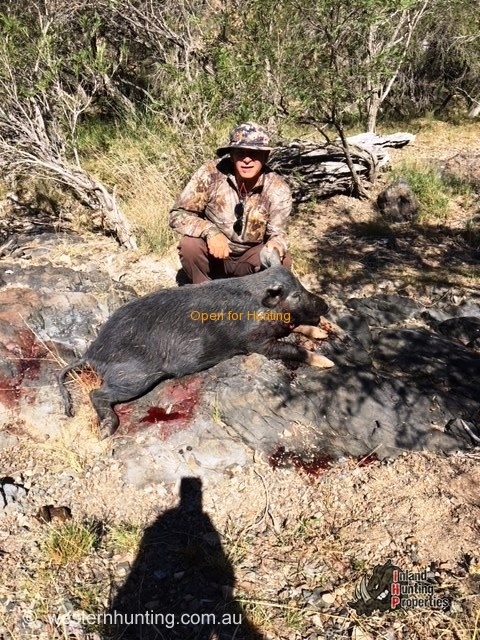 Ethical hunting means that a person knows and respects the game hunted, follows the law and behaves in the right social manner. Children must be supervised at all times, particularly when near the water. Fishing is strictly catch and release only. Unfortunately no dogs are permitted due to livestock on the property and baiting for wild dogs. Check the directions carefully before you depart as there is no reception on Texas Road leading to the property. There are an abundance of kangaroos at dusk and dawn so please drive carefully. We had a great trip to the Stanthorpe #1 property, it was only a 3 hour drive from Brisbane and easy to find. A very enjoyable place to camp and hunt. We met the owner on arrival, who was very friendly and made us feel very welcome. She gave us a good map and a run down on the property and set out the guidelines we should follow very clearly. 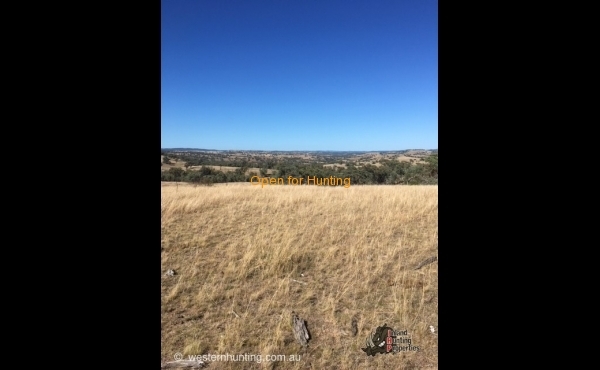 The property is great and has a mix of open and closer terrain, mostly rolling hills but with some flatter areas as well, several dams and creek lines. The tracks are good and easy to get around on, I would class them as suitable for 4WD only though due to a few rough spots with rocky patches requiring some ground clearance and strong tyres. We saw pigs, goats and deer while we were there for our short stay. Lots of roos and wallabies, and we did see some sign of rabbits or hares. Although I didn’t see any myself, I’ve no doubt that wild dogs, feral cats and foxes inhabit the area. We didn’t do any fishing, but the water hole we camped by did have fish in it. I’ll definitely be heading back to this property, for sure. She also gave us a brief on the Stanthorpe #2 property, which also sounds great, probably more suitable if you are taking family and littles ones due to the availability of accommodation and associated facilities like showers and toilets on that particular property. 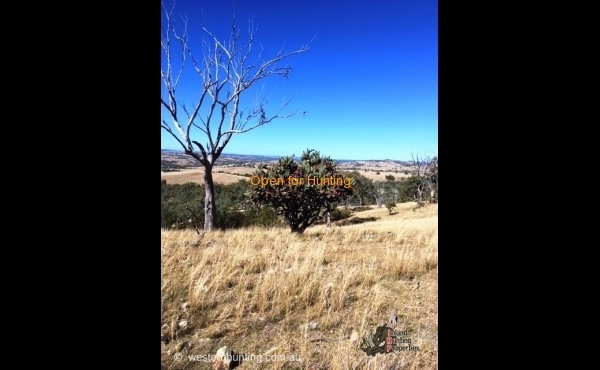 Stanthorpe #1 is a good property and the owners are friendly and easy to get on with. Some of the tracks are very steep, including the track to the camping spot so it should be listed as 4wd only. We saw pigs, cats, deer and a rabbit whilst there and caught a nice perch in the waterhole at the camp spot. The camping spot is on the opposite side of the property to the house, so easy not to disturb owners. It is very rocky so not an easy property to walk. It is close to Stanthorpe which is a big town with all facilities. It would also be very handy for Brisbane hunters. Ps I would go back there!